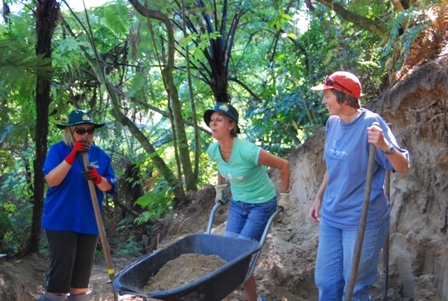 Tamahere School staff started the year by pitching into help Tamahere’s number one environmental project, the restoration of the Tamahere Reserve. Teachers and support staff begin the school year days before their pupils return from holidays and traditionally take time out from their classroom preparations to work in the community. 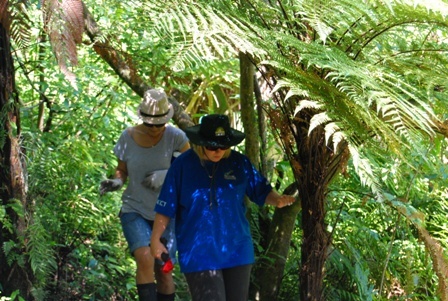 This year they donned gumboots and sunhats and became a welcome workforce for the Tamahere-Mangaone Restoration Trust. 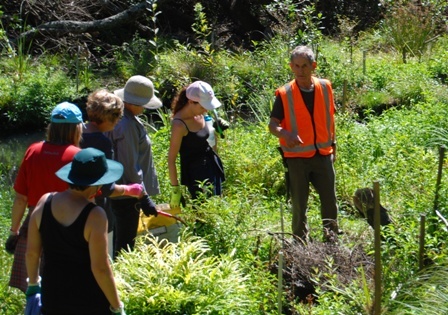 For the past two years the few volunteers who make up the trust, led by local man Leo Koppens, have been hacking their way through a dense jungle of weeds and exotic trees to reveal often magestic surviving native trees and other plants. They have planted thousands of native plants in areas cleared of weeds. 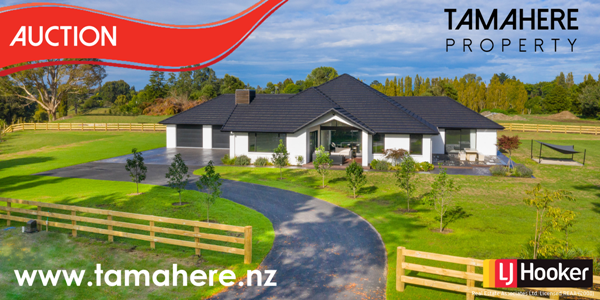 The restoration of the 5ha Tauwhare Rd reserve is a challenge for a small group so when Tamahere School principal Waveney Parker offered the school workforce for a few hours Koppens was delighted. The working bee started at the school with safety messages followed by a familiarisation walk through the reserve, an experience that stunned some of the teachers. As they negotiated temporary boardwalks, strode sandy tracks, stepped over muddy patches, under palm fronds and drooping branches and took in stands of mature kahikatea the air was lively with comments. Then it was down to work. Divided into groups and issued safety instructions, one group cleared weeds from around newly planted seedlings and attacked a gorse- and privet-ridden area while another shoveled sand into wheelbarrows and spread it to form new paths. Another group cut up dead willow trees. Meanwhile, back at the school three talented artists created signs for the trust, which will be placed around the reserve to provide information to visitors. “This effort has put us ahead of our work programme by 50 hours,” said a delighted Leo Koppens at the end of the day. 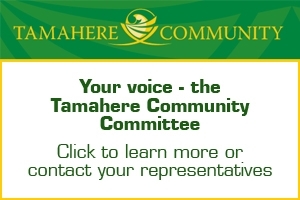 Koppens said another benefit of the day was that some staff had offered to do more work in the reserve in their spare time and the word had also spread wider about the environmental treasure in the heart of Tamahere.